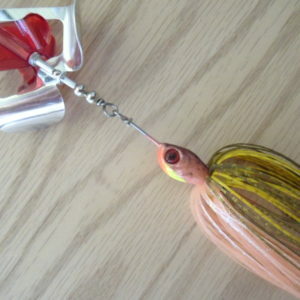 The Mega Chomp In-Line Turbo Buzzbait is designed to cast easier and hook more fish than other buzzbaits on the market. 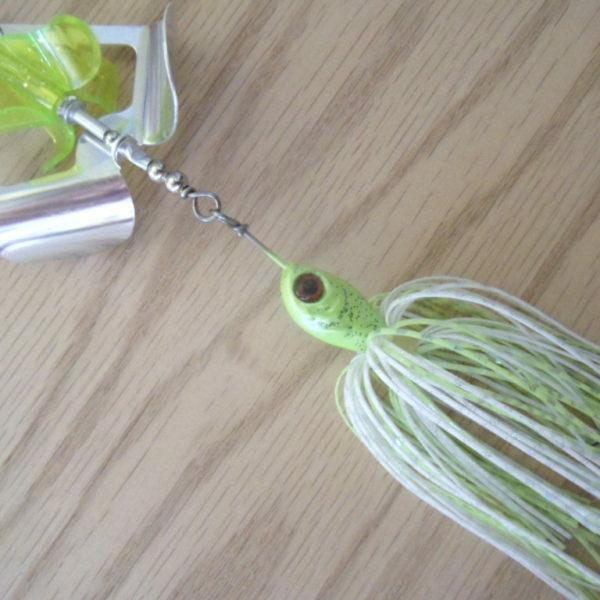 The jointed design allows it to fold up and catch less air on the cast and it also lets the head/hook ride at a slight downward angle on the retrieve making it easier to get hooked up when the fish inhale it. 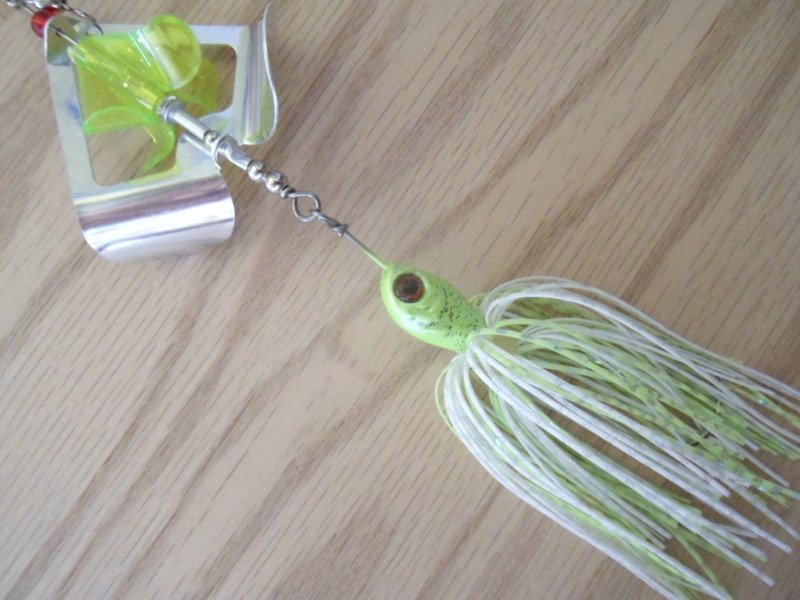 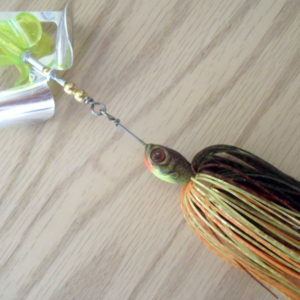 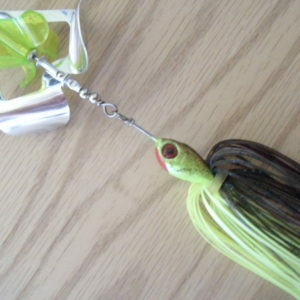 The inner/outer counter rotating blades work against each other to create a unique sound and cause this bait to stay on top during an extra slow retrieve. 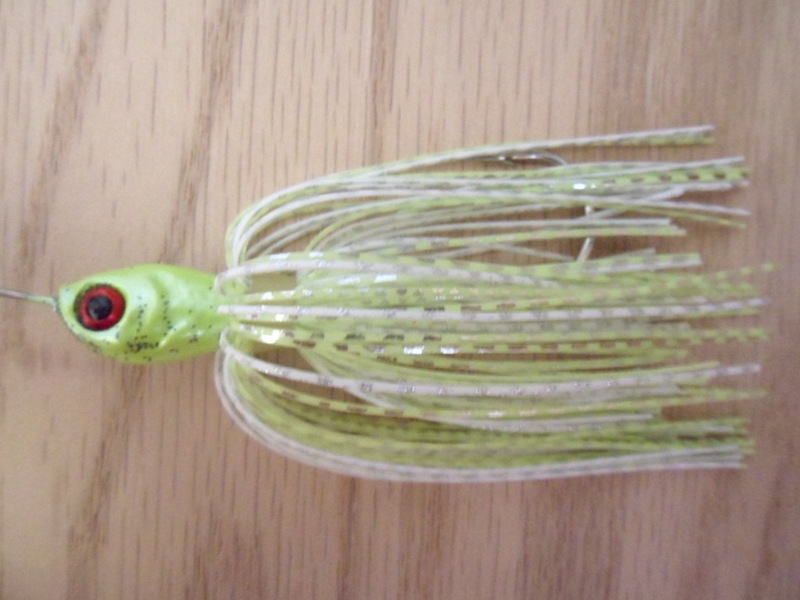 These baits not only cast easy but are easy to come to the surface, stay on top during a slow retrieve, have good squeak, and leave a good bubble trail. 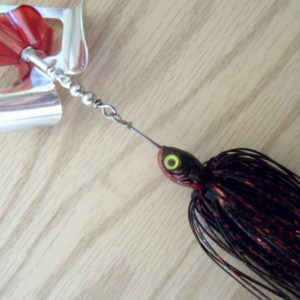 Features of this bait include. 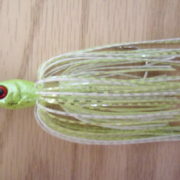 Be the first to review “Mega Chomp In-Line Turbo Buzz in Chartreuse White” Click here to cancel reply.